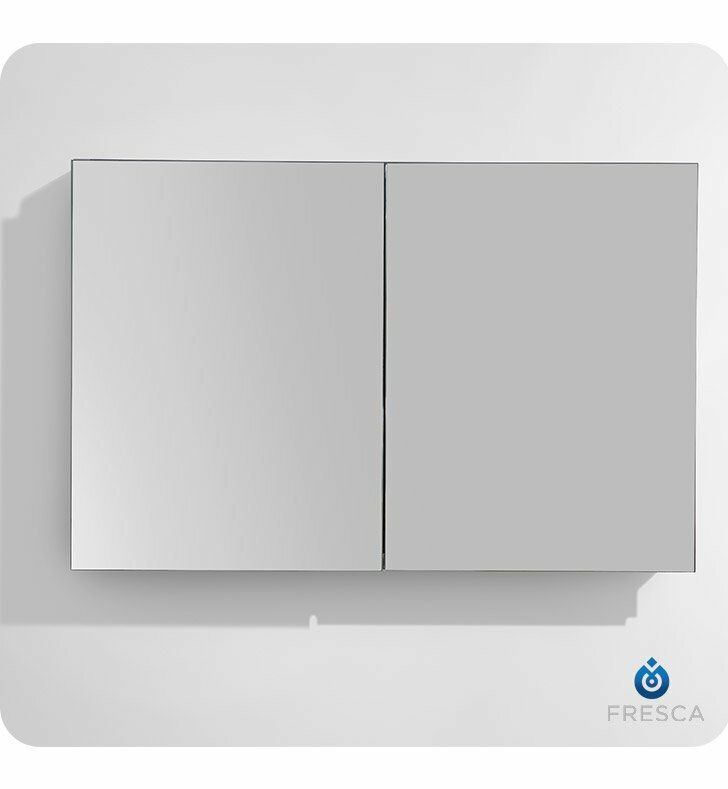 With plenty of mirrored surfaces, the FMC8010 Fresca 40-inch Bathroom Medicine Cabinet will make a stunning statement in your home. It features two doors with mirrors on both sides so you can have it open to access your makeup, while also keeping an eye on your appearance. 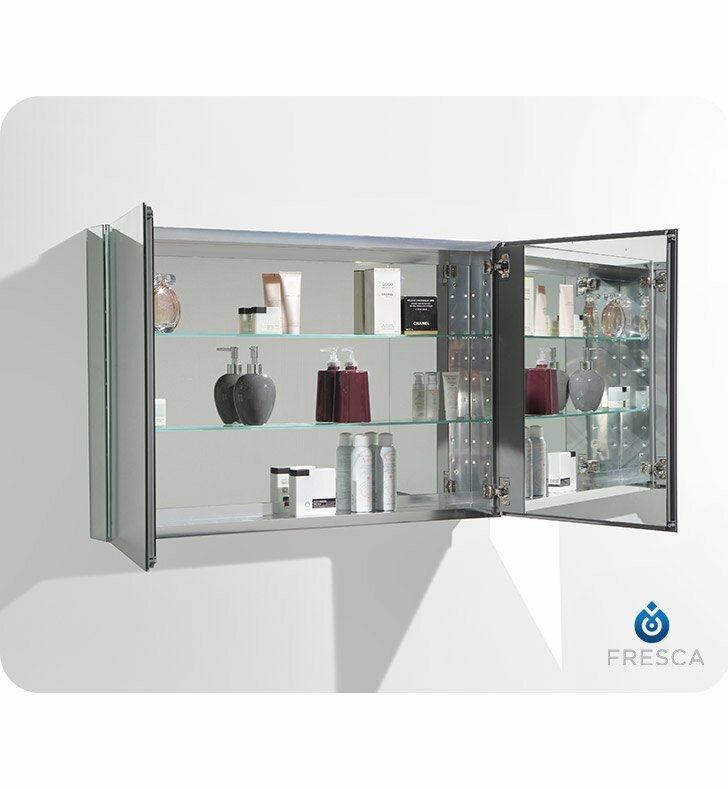 The mirrored interior of this Fresca medicine cabinet reflects your toiletries, which sit atop the two tempered-glass shelves. 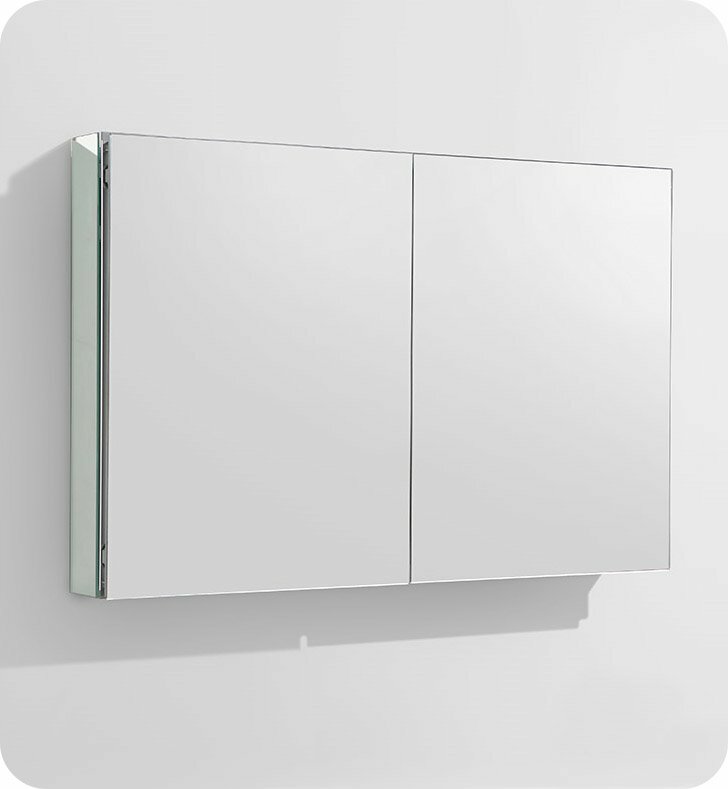 Measuring 39.5"W x 26"H x 5"D, this bathroom medicine cabinet with mirrors everywhere is sure to please. Dimensions: W 39 1/2" x H 26" x D 5"
I like it and would buy another if I were doing another bathroom. My daughter and son in law saw the cabinet and are considering ordering a Fresca cabinet. Pros: We recessed our unit and it looks great. The construction and materials used are first class. Décor Planet is a pleasure to do business with. Pros: The 50/50 split is a nice touch not available elsewhere. Also, the non beveled edges match the modern design of our bathroom.